With an Oscar nomination and BAFTA Award, is this the most successful university project ever? 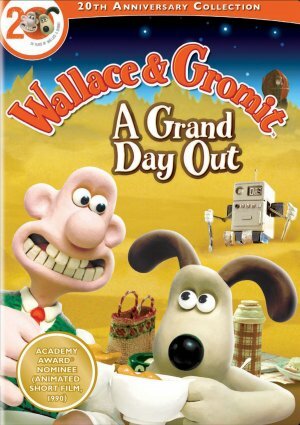 In A Grand Day Out, originally planned as a graduation film for Nick Park, we are introduced to loveable inventor Wallace, voiced by Peter Sallis, and his loyal dog Gromit. We follow the pair’s attempts to find a bank holiday location with plenty of cheese and they decide the obvious choice is the moon. Being written, directed and animated by just Park meant that the original time frame of one year was extended to seven years as he worked on it as a part-time project. So that Park could get the film completed it is without a side story, resulting in only one primary storyline that feels slightly empty. There are not many actors who are integral to the creation of a film but Peter Sallis is one of them. 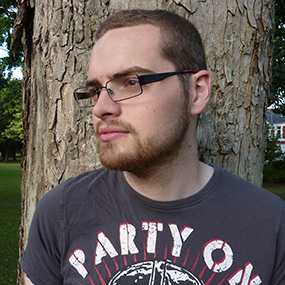 He is the living embodiment of Wallace, his speech pattern also led to design changes of the character, with the cheeks being expanded because of the way Sallis said “cheese”. Sallis makes Wallace likeable by playing him in an understated manner: he is smart enough to build a rocket capable of getting to the moon without making a fuss about it. It is a brave move to make one of the leads mute; however it pays off with Gromit’s glances to camera telling more about his emotions than a page of dialogue ever could. The character is executed brilliantly resulting in an everyman that people can relate to despite him being a dog. As a starting point to a continuing franchise the film is great, its simplistic design brings this eccentric and extremely British world come to life, with an ease that makes viewers feel cosy.